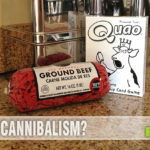 Over the past few years there have been a number of discoveries of ancient board games by archaeologists. One was found in a secret chamber of a Russian castle and dates back to the 1300’s. Another was discovered in a heavily looted 2,300 year old tomb in China. And just last month news broke of a 4,000 year old board game carved into the earth in Azerbaijan and was most likely enjoyed by nomadic herders of the era! 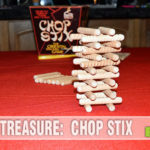 This week’s Thrift Treasure find uses the news of these discoveries to recreate a version that we can play today. 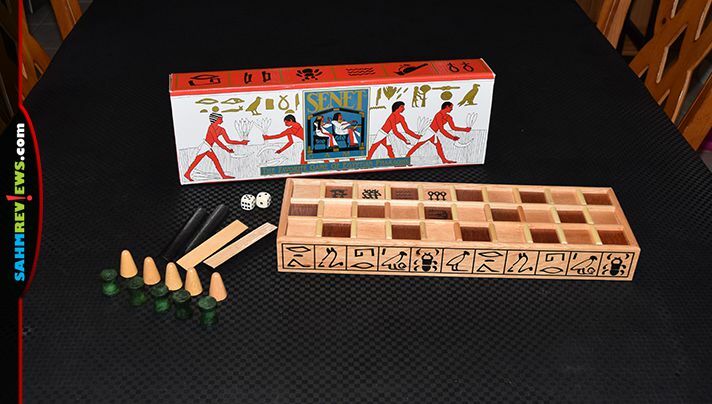 Senet is one of the oldest known board games. Fragmentary boards that could be Senet have been found in First Dynasty burials in Egypt (circa 3100 BC). A hieroglyph resembling a Senet board appears in the tomb of Merknera (3300–2700 BC). The first painting of this ancient game is from the Third Dynasty tomb of Hesy (circa 2686–2613 BC). People are depicted playing Senet in a painting in the tomb of Rashepes, as well as from other tombs of the Fifth and Sixth Dynasties (circa 2500 BC). The oldest intact Senet boards date to the Middle Kingdom, but graffiti on Fifth and Sixth Dynasty monuments could date as early as the Old Kingdom. Our version isn’t quite that old. 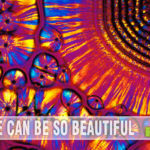 In fact, it is still offered new by Wood Expressions, Inc. on their website and through Amazon. Our found copy was obviously an unloved gift as it is still in brand new condition. Typo-filled rules made learning the game a bit harder than normal, but after a couple read-throughs, we had it down. 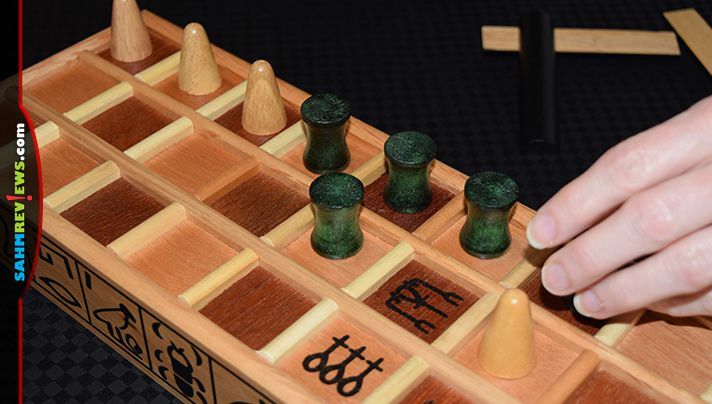 Senet is a game about racing your pieces to the end and off the board. 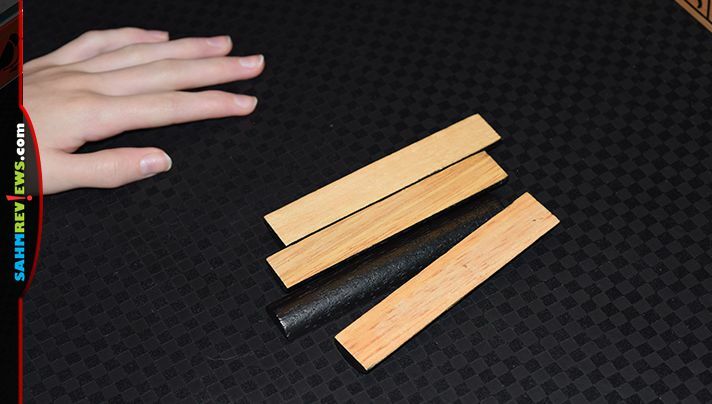 Instead of dice, you will be “throwing” a handful of sticks. The cumulative result of that throw determines how many spaces you may move. These sticks have a flat side and a rounded side. To figure out how many spaces you may move a piece you will count the number of flat sides that are facing up. One flat side nets you one space. Two gives you two. Three? You guess it, three spaces. And of course if all four sticks have flat sides up, you move four spaces. What happens if no flat sides are facing upwards? If all four sticks have their rounded sides up, you move six spaces! Each player has five pawns prepositioned on the board. Players take turns “rolling” the sticks until one of them rolls a one. That player plays the darker colored pawns and moves his furthest piece one space and takes another turn. Each time you roll if you end up with a one, four or six, you will move and take another turn. Netting a two or a three still allows you to move, but your turn ends afterwards. Pawns move along the track in a zig-zag fashion until they reach the end of the board (30 spaces) and then may move off. Any leftover movement can be transferred to another piece, but usually you can only move one pawn per turn. You may not land on your own piece, but you can land on a space occupied by an opponent. This causes the pawns to switch places, with your opponent’s pawn moving to the space where you started your turn. If you line up two of your pawn in sequential spaces, they cannot be attacked as described above. If you line up three in a row, not only are they safe from attack, they cannot be passed over either! If on your turn you cannot legally move any of your pawns forward because they are blocked or the spaces they would land on are occupied by your pawns, then you must move a pawn backwards on the track! You probably noticed a few hieroglyphic signs on the Senet board. If you land on the space with the water symbol (three wavy lines), this is a trap. Any pieces that land in this spot must return to the 15th square, marked by another hieroglyph. If that square is already occupied, then you must return to the start! The other three marked squares are “safe” squares where you cannot be attacked. You may not move pieces off the board unless all of your pawns are out of the first row. If you have one returned to the first row, you must stop moving pieces off the board until it gets back to the second row. 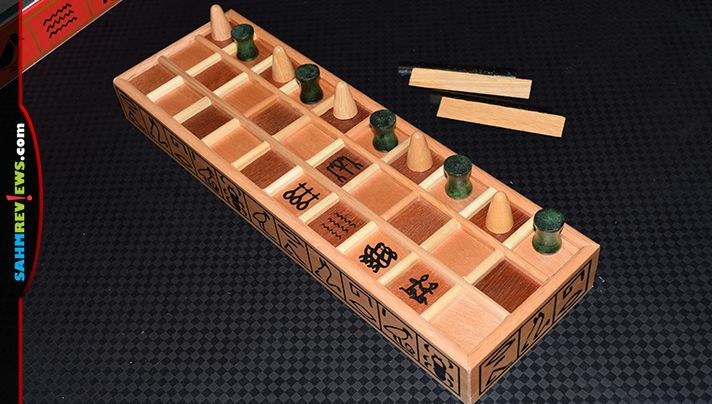 The first player to get all five of their pawns off the Senet board wins! 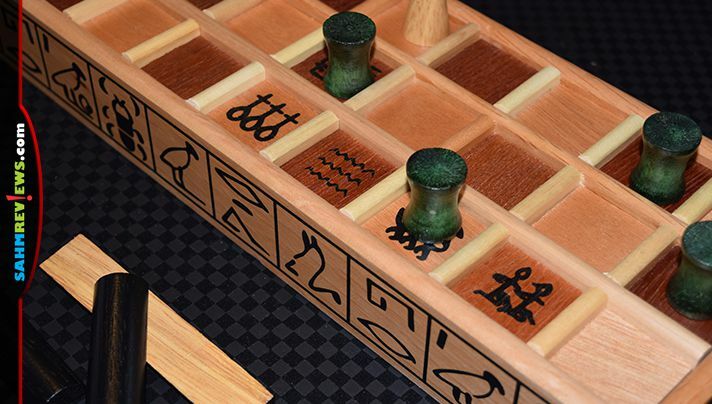 Of course Senet is a game about the luck of the roll. A few strategical decisions will be made as to which piece to move and when. 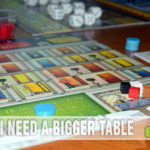 A unique 2-player game that is worth the MSRP of $40 due to the high quality wooden components and attempts at keeping the game authentic. 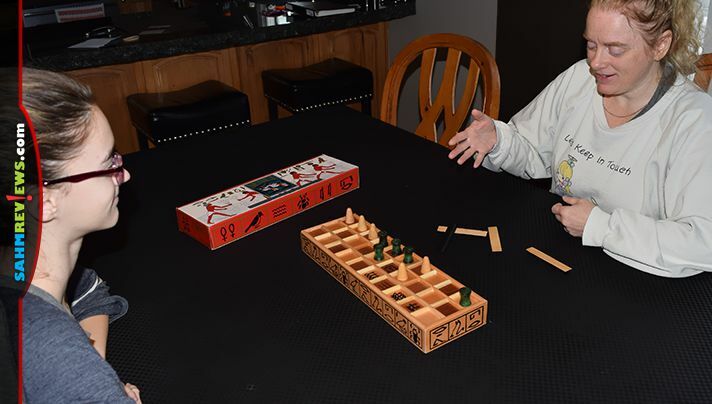 You’ll find Senet on Amazon, direct from Wood Expressions on their website and at local gift stores. 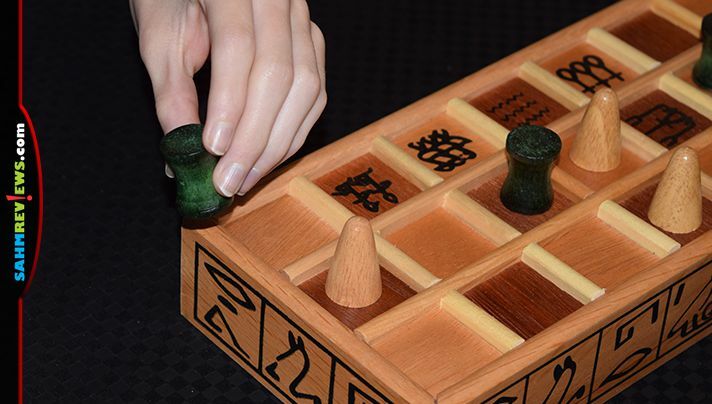 Have you ever played any of these ancient games? This looks really neat. It’s one I’ve never played but I think it’d be fun to learn. No, I’ve never played any of these ancient games. Senet sounds like a lot of fun and seems fairly uncomplicated once you understand the rules. I LOVE it when I find a cool game at the thrift stores! I’ve found Settlers of Catan, even! My best score though was Aquaretto for .50c and it was the right colored sticker so it was on sale 20% off, LOL!! I had no idea there were ancient board games. So cool! 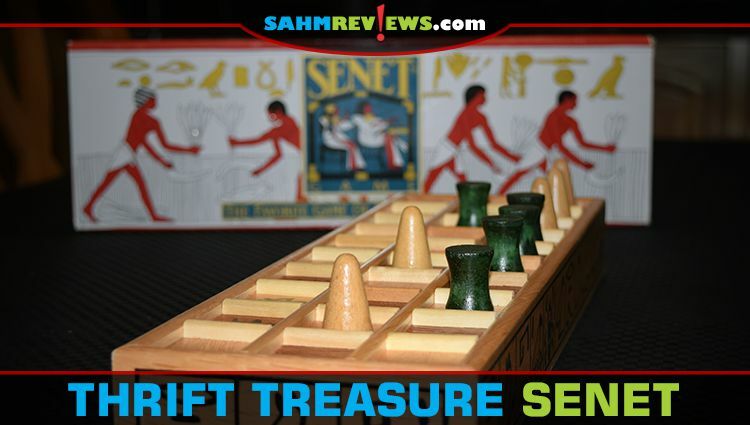 Senet looks like an interesting take on one for sure. I love learning about the history of games! I saw new games in Indonesia that were just so cool, and some were so simple but really fun! This one looks interesting. Looks like a fun game and great to play with kids. I’ll check it out! I enjoy when you find games I’ve never heard. This one sounds fun and I like how you mention the quality of it, it means it can be around for other generations. We have some of my Grandma’s favorite games and they were made out of wood, our kids love them.